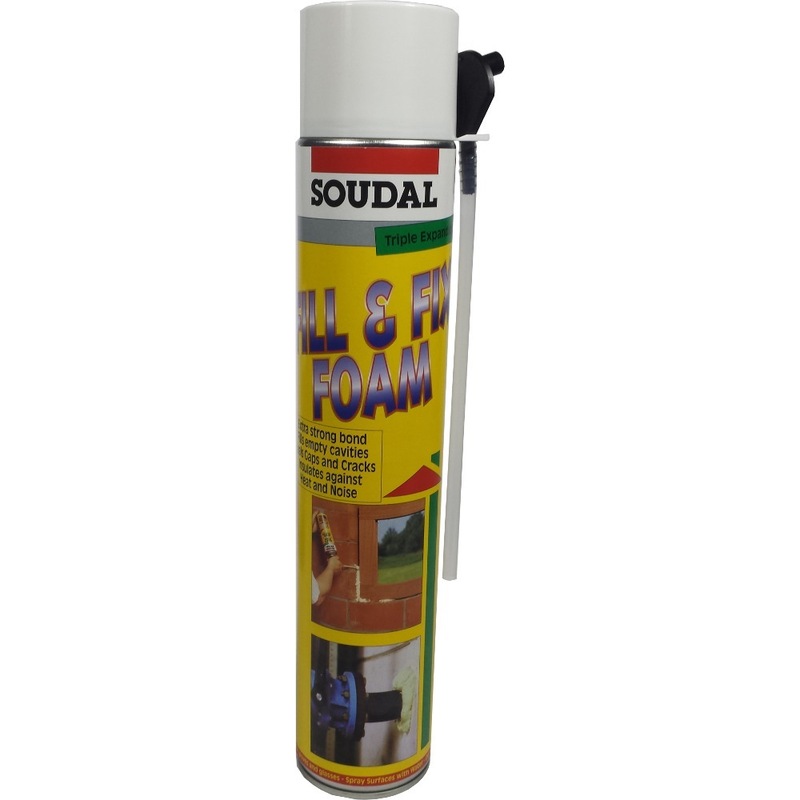 SOUDAL PU FOAM SEALANT-750ML is rated 5.0 out of 5 by 4. Fix & Fix Foam forms a permanent, air tight and waterproof bond to wood, metal, glass, masonry, concrete and most plastics. Fill & Fix Foam is tackfree in 20 minutes and cures in 6-8 hours. Cured Fill & Fix Foam can be sanded or painted with all types of paint. Rated 5 out of 5 by Clement from Convert pneumatic tyres to foam filled tyres My sack trolley has 2 pneumatic tyres and every time I want to use the trolley the tyres are flat. Also they have been left flat for so long that the tyre wall is cracked. I decided to fill the tyres with Soudal PU foam from Horme so they won't go flat. 1 can is more than enough for 2 nos 10inch tyres. (method = remove valve stem, drill holes in tyre, fill in some water to wet internal walls, shake PUfoam, attach injector tube & inject with can upside down) The Soudal product is very good because the injector tube fits the standard air valve perfectly, so injection is easy. Curing is complete after 12 hours & excess foam can be removed with hacksaw blade. Perfect solution. Rated 5 out of 5 by Kat65 from Great Product I love it! It solved my problem. I was initially worried about using it in a sensitive area, but it has proven me wrong. Best buy ever! Rated 5 out of 5 by Holzwurm from Good stuff! Good stuff to fill gabs btw window frames and wall. Rated 5 out of 5 by Elfa from Soudal Foam Sealant Easy to use, really foams up well. We used it as props and I don't think anyone else in Singapore done it quite like we did.